Mephisto Walz are/were (?) 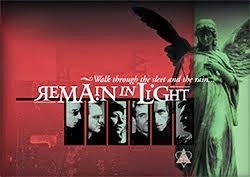 an interesting US band formed by Barry Galvin, a former Christian Death member, in 1985. We 'll talk extensively on them some other time. In 2003 they released a single "Nightingale" as a forerunner of their 2004 album "Insidious" on Fossil Dungeon records. The cd version of this release had printed in the inlay and on the cd itself this symbol. This very one is a mixture of two well known glyphs in the world of symbolism. The first is of course the symbol of planet Mercury but also of the element, an ancient symbol for what the alchemists refer to as First Matter. It has been very often been used in goth band imagery. See it here along other planetary glyphs. 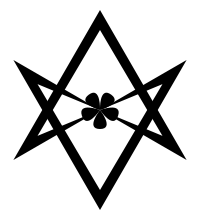 The second is the unicursal hexagram, a symbol that represents "a high level of self-confidence and belief that one can achieve the highest of goals and become a divine figure".